Besides its beautiful beaches, Otranto has many other things to offer you: it is definitely one of the most beautiful sea towns of Salento and of Puglia in general. There are many of them, such as Gallipoli, Santa Maria di Leuca, Castro and Porto Cesareo, but Otranto has a different kind of charm. It is a very ancient town, which preserves monuments, roads, rocks and a borderline vibe. 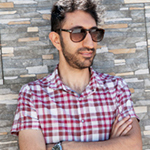 I will now tell you the three things of Otranto you cannot absolutely miss if you are spending your holiday in Salento. Let the beach alone for just a few hours, and go into the old town centre of Otranto. If you accommodate in this area, I suggest you to go towards the centre at twilight, and then stay there for dinner. Instead, if you stay in other places of Salento, I recommend you to spend a day on a coastal tour and go to Otranto just before lunch. 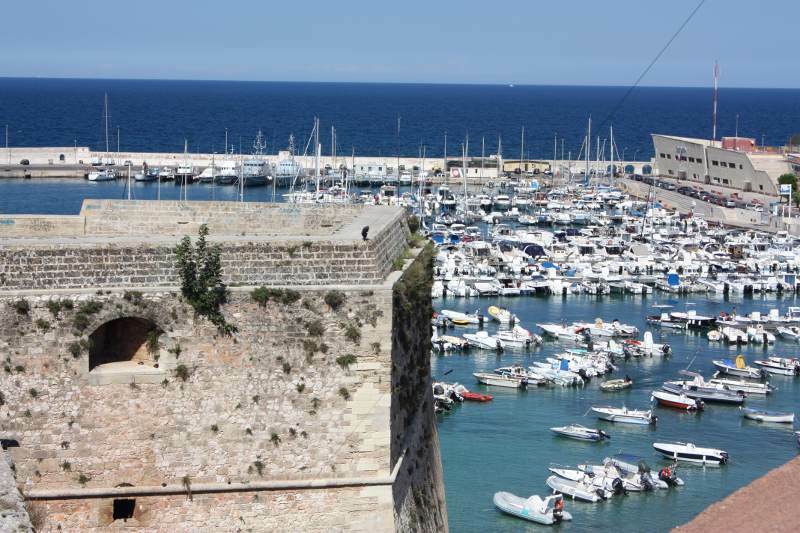 Let’s see, now, the 3 things you absolutely have to see in Otranto! The castle is a fortress built by the Aragonese of Naples between 1485 and 1498, probably over an existing building dating back to Frederick’s time. It has a pentagonal and irregular plant, with a moat that stretches around the perimeter and, once, it was also equipped with a drawbridge that was the only entrance point. It is constituted by three cylindrical towers and a spear bastion, nicknamed “Diamond Tip”, built in 1578. Inside, there is a small square with a staircase leading to the upper levels. Currently, the castle is the space where exhibitions and cultural and artistic events take place. The Cathedral is located on the highest spot of Otranto. It was built on the remains of a domus roman (Roman house), of a Messapian village and of an early Christian temple: this already makes us imagine how many stories this place knows, as well as all Otranto! It was completed in 1088, and it is a synthesis of different styles, such as early Christian, Byzantine and the Romanesque ones, all perfectly melt together. 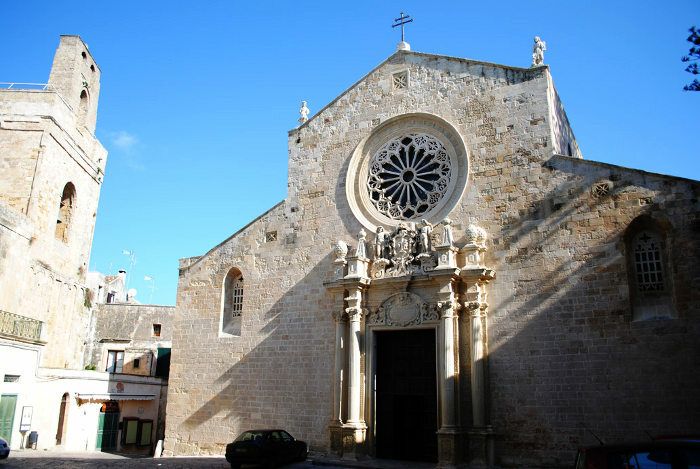 Practically, all the history of Otranto is contained in the Cathedral. Inside, there is a mosaic of multicolored tiles made with very hard local limestone. The trend style is Romanesque, with some Byzantine elements. 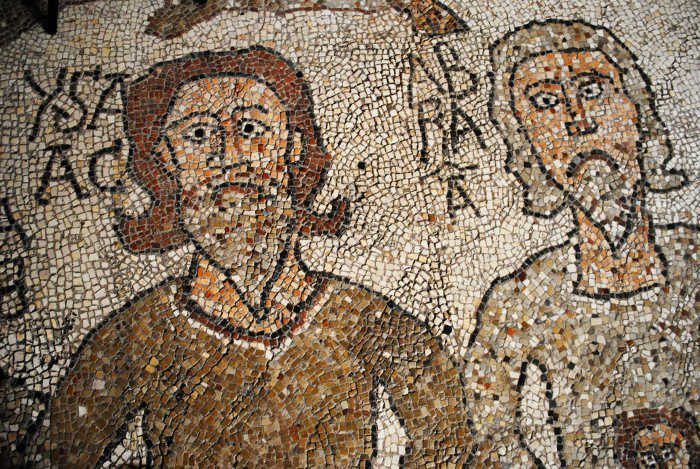 It is a mosaic that captures your attention with its visual beauty and its great iconography. There is also a tree of life on which the main representations unravel: Adam and Eve, the bull, a Behemoth, a Leviathan, a rampant Dromedary, an Elephant, a Lonza, the Queen of Sheba, King Solomon, a Siren, a Leopard and an Aries, the wild boar hunting, episodes from Jonah’s and Samson’s books, the Earthly Paradise, King Arthur, Cain and Abel, the Flood, the goddess Diana, a Horse, zoomorphic and anthropomorphic figures of different sizes, King Alexander the Great, the Last Judgment, and further more. 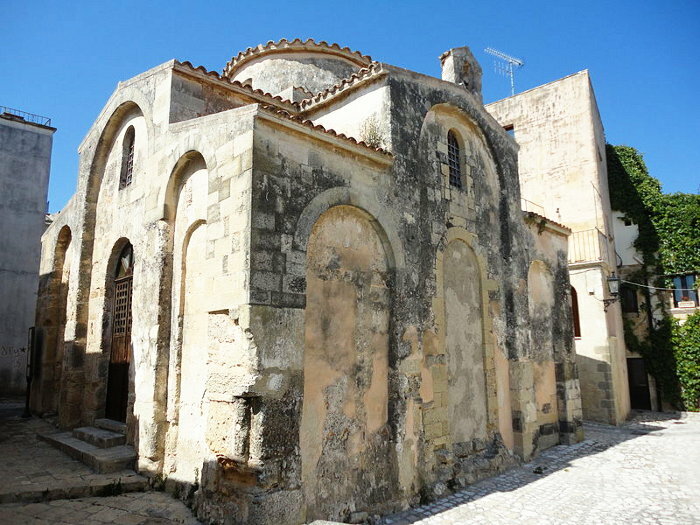 This church is one of the best examples of Byzantine building tradition in Puglia. 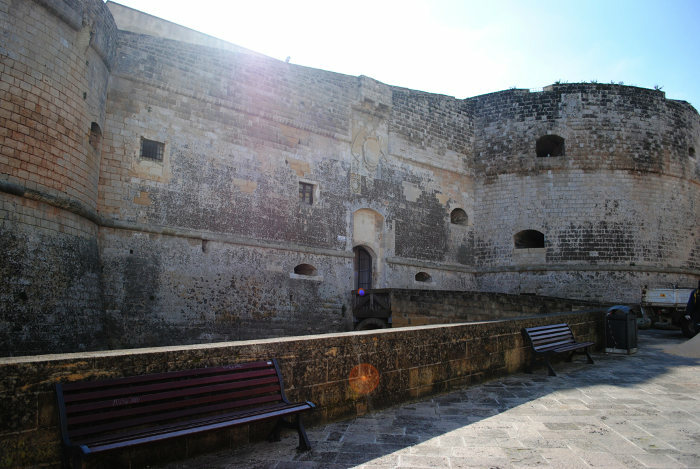 It dates back to the ninth or tenth century, and it is located right in the old town centre of Otranto. It is probably the first cathedral of the town, reporting directly to the patriarchal seat of Constantinople. 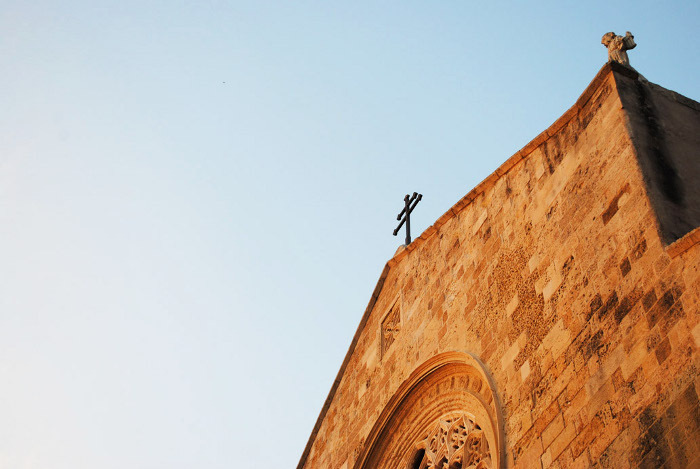 The church has a Greek cross plan, according to the Byzantine religious tradition. Inside, three small naves, surmounted by a central dome, are supported by four columns. There are also some amazing Byzantine frescos dating back to the tenth-eleventh century. The most ancient paintings are “The Foot Washing”, which depicts Christ while lifting St. Peter’s leg, and “The Last Supper”. “The Nativity of Jesus”, “Pentecost” and “Resurrection” date back to the fourteenth century, while “The Presentation in the Temple” and other figures of Saints date back to the last part of the sixteenth century. The information about the opening hours are given in the website of the City of Otranto. Perhaps, if you want to be sure that they are up-to-date, visit on the website of the City. All the photos (except that of the Chiesa di San Pietro, which is from Wikipedia) have been taken by Chiara Riccia: I really want to thank her for giving us those pictures! I reply here in order to help you and other travellers. 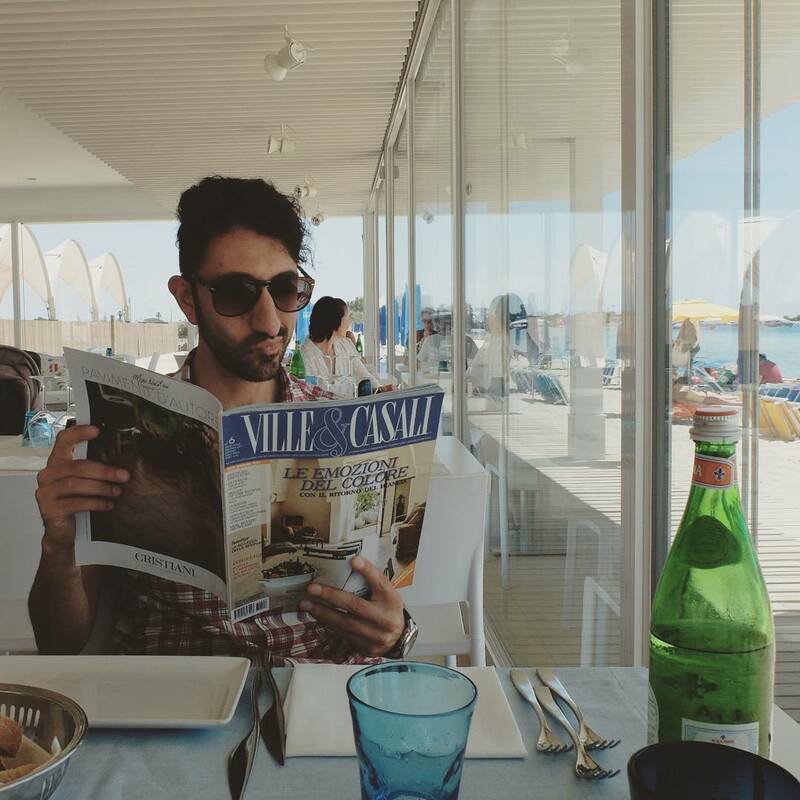 Nice town on the beaches are Porto Cesareo and Gallipoli, full of restaurants, shops and nightlife. 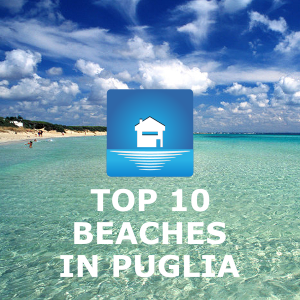 With regard to some of the best Salento beaches you can easily find lot of information here on my blog. With regard on how to move in Salento, I suggest you to take into consideration the summer public transportation system called Salento In Bus, a service which links the main cities and coastal town. But, to be honest, I do suggest you to rent a car if you want to discover Salento in a better way. Let me know if you need more information. A presto, Fabio.